At Chris Ball Roofing, we can offer a wide range of professional services and products for our clients across the UK, including lead flashings. 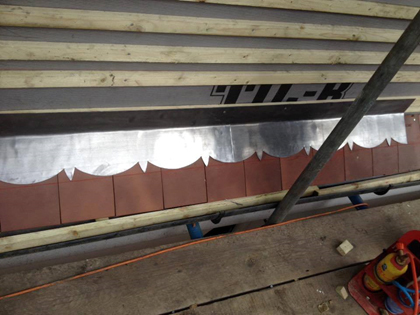 One of our most popular services is the installation of specialist lead flashing products, from traditional stepped flashings to straight cover lead flashings. These lead flashings are suitable for many different types of applications, including chimney stacks and parapet walls for commercial or domestic properties in a range of environments. When you invest in lead flashings for your property, you can trust in the Chris Ball Roofing name to provide a comprehensive, professional and thorough service. We don’t just offer lead flashings – there is so much more to our services. Browse our website for more information on all our additional products. You will receive a quick, attentive and professional service when working with us. Chris Ball Roofing is a name you can trust – and we have built our reputation on honest and reliable workmanship. For more information on this or any other service we can offer, contact us today. Why not head over to our Facebook page? Like us and receive latest news and special offers!